Nasa's Insight Robot has landed on the planet Mars to study its interior. The $828.8 Million robot, InSight, was launched May 5th 2018 and touched down on Mars 26th November 2018 after spending 7 months in space travelling 301,223,981 miles to its destination. The mission is part of NASA's Discovery Program. InSight aims to study Mars' interior (crust, mantle and core). Mars will be the only planet (other than Earth) that has been examined this way. InSight will also be measuring tectonic activity and meteor impacts. The lander uses cutting edge technology to dive deep beneath the planet's surface to answer many previously unanswered questions. 1. To understand the Formation and evolution of Extra-Terrestrial planets. NASA's Jet Propulsion Laboratory (JPL) exploded with excitement after the touchdown was confirmed. The agency's Chief Administrator celebrated what he called "an amazing day". The first image sent back includes a dust cover from when InSight landed. This is expected to have been removed this week. It landed in a vast lava plane called 'Elysium Planitia', nicknamed "The biggest parking lot on Mars", which is near the Equator of Mars. 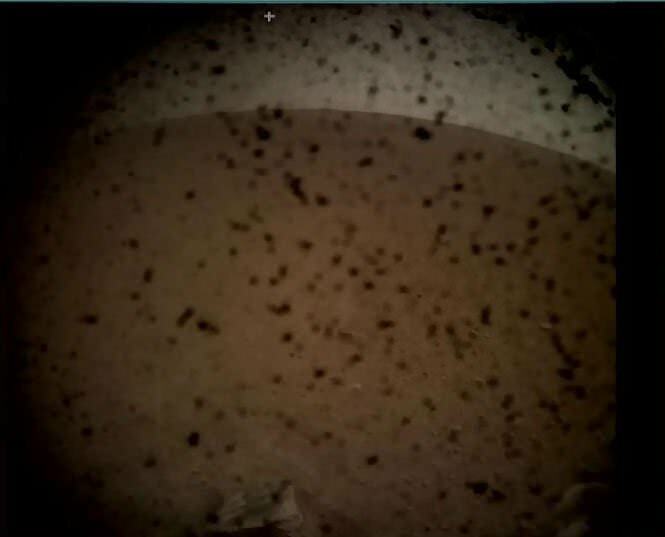 Only hours after InSight had landed, it sent a message back to earth confirming that its solar panels had opened and was getting enough energy to power its instruments. On a clear day, it is estimated that the solar panels will generate 700 W, enough to power a kitchen blender. The first scientific data isn't expected until March 2019, but the lander will continue to take pictures and send them back! Have you been following InSight's progress? What do you think of the first image received by the robot?